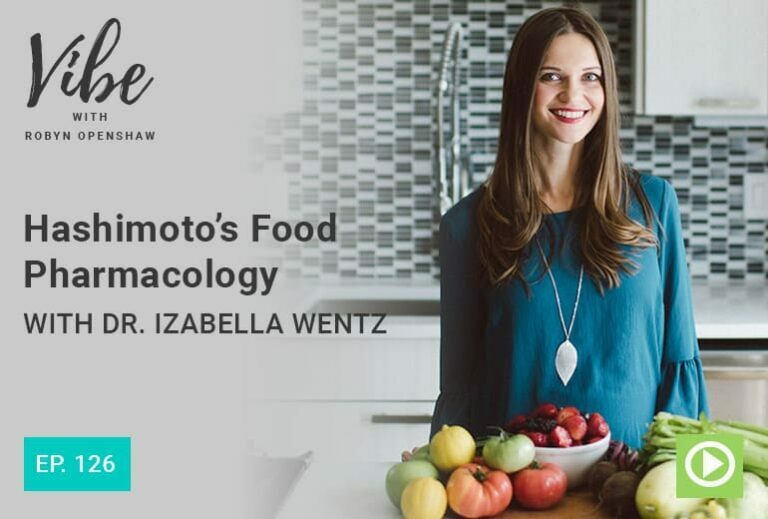 Today I’m bringing back a good friend and a #1 New York Times Best-selling author Dr. Izabella Wentz to talk with us about her new book “Hashimoto’s Food Pharmacology.” In this interview we talk about the shortfalls of some of the thyroid testing that is being done and what you can do about it to make sure you’re getting the right tests and results. And we discuss her amazing new cook-book full of delicious recipes sampling cuisines from all over the world which teaches us how food can be used as medicine. It’s designed with healing recipes and protocols specifically for people with Hashimoto’s or autoimmune conditions. Good food and proper nutrition is essential for healing. But it can often get confusing out there as to what protocol, or what foods are the right foods. But with the recipes and the guidelines that Dr. Wentz shares with us in this episode and in her book, there is no need to be confused anymore. Learn how to know what is right for you and your body and how to enjoy some delicious foods in the process of healing and feeling great again. Robyn: Hey there friends. It’s Robyn Openshaw and Welcome back to the Vibe show. I am bringing back a guest this week who I’ve had on the show before and very similar to when I interviewed her before I thought to myself as I was doing this interview, oh my gosh, we’ve got to make sure that everybody at Green Smoothie Girl who does customer support or program support knows about this interview because there are so many people out there suffering from thyroid problems and they don’t know what to look for and they don’t know how to go in and talk to a doctor about what tests to run. So they just go in and whatever practitioner they meet with, they say, hey, I am suffering in these ways and put themselves in the care of a new physician and they may or may not be well served by that. So my friend Izabella Wentz has a Pharm D, which is like a PhD in Pharmacology and she was schooled in a very conventional way. She was taught how to deliver drugs to people basically, and she thought that was key to health back in the day. But when she was 27 years old, she was diagnosed with Hashimoto’s thyroiditis. And since that time, 10 years ago, she has done a lot of research, she’s worked with thousands of patients and she wrote, I think it was about a year or two years ago, the Number One New York Times bestseller “Hashimoto’s Protocol”. Right now she is releasing a book following that called: “Hashimoto’s Food Pharmacology”, which you can get now. And what it is is a step by step guide for replacing medication with better habits, healthier habits, and really delicious food that’s healing to the thyroid and the entire immune system. So I don’t know about you, but when I get a recipe book, I love it when it has beautiful full color photos. It inspires me. It makes me want to make the recipe and she totally has that nailed. Mine usually don’t look quite like the ones in the photos, but I really like starting there. She has meal plans and a lot of habits and tools and strategies to get well if you have Hashimoto’s or actually any endocrine disorder. So Dr. Wentz is married to my dear friend Michael Wentz. They have an almost nine month old son Dimitri. So they are new parents and they live near Boulder, Colorado. I really love this interview and I hope you do too. So Dr. Izabella Wentz, Welcome to the Vibe show. Izabella Wentz: Hi Robyn. Thank you so much for having me. It’s always so much fun to connect with you. Robyn: Well, you’re always up to great things and even though you’re a new mom and completely sleep deprived, you’re bringing more great work to the world, to your stage. And I know that you are super passionate about helping people with Hashimoto’s. I also know that most people who have Hashimoto’s don’t yet know they have it. They know they’re suffering, but they don’t yet have a diagnosis. And so why is this, according to your research, the country’s fastest growing autoimmune disease. And why is it so hard to diagnose? Izabella Wentz: Well, one of the challenges with diagnosis is that doctors run a test called the TSH test. And TSH is thyroid stimulating hormone. It’s a hormone that gets elevated in response to the body sensing low levels of thyroid hormone. Now, there’s many, many reasons why the TSH test is not the best test. One is that it’s going to be the last lab test to elevate when somebody has Hashimoto’s. So before TSH goes up, we need to have a reduction in thyroid hormones within the body. And we also need to have a elevation of thyroid antibodies in the body. So, this beginning of an attack on the thyroid gland, and this can happen 10 years before the TSH is elevated. So a lot of times people are not getting the proper diagnosis because the doctors are not running the right test to begin with. And the other issue with the TSH test is the reference range is overly lax. When scientists determine the reference range for various types of conditions and lab markers, they basically take a whole bunch of blood from a whole bunch of people. Well, thyroid disease is so common that in this quote unquote bucket of blood, we also have people with thyroid disease in there that was undetected. And so this reference range was huge. Really for a healthy person without thyroid disease, their TSH should be somewhere between 0.5 and 2.0. And back when I was looking for a diagnosis, my TSH was a 4.5 I was sleeping for 12 hours a night, (not doing so many more) and I was freezing. And yet my doctor told me that that was normal. And for a woman, my age and whatnot, that TSH should have been somewhere around 1.0. With a 4.5 I felt like a sloth. And so one of the things that people really need to ask for, if they’re looking for a reason why they might feel tired, why they’re gaining extra weight, why they feel cold, why they feel moody, why they feel brain fog, is ask for the right kind of thyroid tests. And these are going to be thyroid antibody tests. TPO and TG antibodies are the two most important ones to ask for in Hashimoto’s. And they also would want to look at what our thyroid hormones are doing. 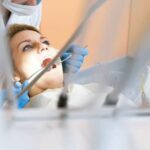 Are we making enough of them to saturate our thyroid receptors? And that’s going to be Free T3 and Free T4 as well as the TSH test. TSH test is an important test and it’s great for picking up those thyroid conditions 10 years down the line after they’ve already started, but not the best at the beginning. So that’s kind of a big reason why we have so many people that are walking around told that they’re depressed, that they’re anxious, that they need acid reflux medications, that they are eating too much, that they have fork to mouth disease and not exercising enough and all these ridiculous things that we hear from unfortunately conventional doctors when in fact they have a thyroid condition and it may be in the stages that are not detectable on the standard tests. Robyn: Okay. I’m going to have you tell a little bit about your story because I think where you were in your 20’s and where you are now, having written a Number One New York Times Bestseller, and I don’t know if people realize that, that doesn’t mean you hit the New York Times List, which is no small feat, but you are literally Number One on the New York Times List the week your book launched, which not only goes to show what a great book you wrote, but also goes to show how important this subject is and how many people out there looking for answers. But before we get into your story. Would you just tell us why women like you and me, some men too, are going to conventional doctors and they do exactly what you just said. Thank you for that very succinct explanation because I know you’ve been on many, many high profile shows and you’ve really taken a complex subject and made it simple to explain, bite sized. That was the perfect explanation. That’s what I was given. I was given the TSH test and I was told I was normal. And I would leave in tears saying, I know I’m not normal. Nothing going on in my life right now is normal. I am not me. I don’t feel good. My emotions are all over the map. I know you experienced the same thing. And you’re saying got to go upstream, got to have some different tests, more granular tests and more complete blood panel. Looking at TPO, just to recap, TPO and TG antibodies, those two tests are better tests. You got to know your Free T3 and Free T4. We have to look at all of the hormones and the precursor hormones. We can’t just do the TSH test and say that this huge range of quote unquote normal, because like you said, it’s sort of the last thing to go. When you show up as not normal in that range, you have quite advanced stage of the disease. So why do our standard of care doctors not know how to test for this and don’t help us the vast majority of the time? Izabella Wentz: That’s such a great question and I do think that they mean well, it’s not like they’re trying to not help us, right? Like I don’t think I’ve ever been to a doctor that didn’t want to help me. The challenges with the conventional medical training and, I’m a pharmacist so I’ve gone through like the most conventional training out there, is that there’s not really much that conventional medicine has to offer for a person with thyroid antibodies. So when a person has thyroid antibodies and their TSH is still quote unquote within the normal, the recommendations are basically to wait and watch. And only when the TSH gets elevated is when a doctor would prescribe thyroid hormone medications. And you know, I think a lot of doctors, they don’t necessarily want to open Pandora’s Box and come out with these positive antibody tests and then have people ask questions about why they’re positive and what they can do about them because they really don’t have anything to offer. And you know, kind of like the whole recommendation or the standard of care is basically test the TSH first and only if that is elevated, would you then test the thyroid antibodies. And of course when you study the condition, you know that that’s backwards because the antibodies come first and then the TSH changes. Not the other way around. So, we need to test the antibodies first. And, you know, through my work and I appreciate you having me on your wonderful platform, because I hope that this changes. That one day people can go into a conventional doctor’s office and they’ll get the right kind of tests done. 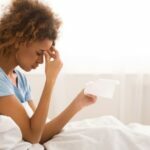 And that they’ll also be given information on what they can do to help themselves when they have these elevated thyroid antibodies and all of these symptoms. So whether that’s in addition to their medications or potentially before they’re ready to start on medications. There are so many lifestyle interventions. And just like you, I’m just so passionate about teaching people how to take care of themselves. Right. Robyn: Yeah. And I know that you’ve come along way, you’re an incredible researcher. But tell us, let’s just go back 10 years. What was happening in your life 10 years ago? Just tell us every symptom you can think of so that people know what to look for. Izabella Wentz: You know, I started off with chronic fatigue in my first year of undergrad. I went from this like bright eyed and bushy tailed college student, you know, overachiever, shockingly, to missing class in the morning. And one day I even missed a final exam because I overslept. And this was just like devastating to me because I was this really nerdy, nerdy kid. And I got a “D” because I was too exhausted to study. I wanted to stay up studying, but I took a nap and then I woke up the next morning after my exam had already started. This was kind of where it began. Eventually, I learned to compensate and I like stopped going out with friends and would just study all the time to make sure that I got decent grades and retook the class and whatnot. But, then when I got into pharmacy school, I ended up with irritable bowel syndrome. Shortly, panic attacks followed. Then I started having hair loss and acid reflux, carpal tunnel in both arms, allergies, cold intolerance, dry skin, easy bruising, you know, weight gain, like my sweatpants were getting tight. I was getting really just tired doing anything. And you know, when you look at, people oftentimes will do things on Facebook where they look at what was going on 10 years prior. And for me it was quite scary because I was barely getting myself out of bed, going to work, barely making it through my day, drinking like eight cups of caffeine a day, getting home after work, in a lot of pain, eating some food, passing out on the couch around like 9:00 PM and then doing it again the next day. And I had so many goals, so many dreams, so many things I was wanting to do with my life, but I couldn’t do any of them because I was just so tired all the time. And I was, you know, starting to get brain fog, which was quite scary because when you’re, you know, nerdy, you’re kind of quick-witted, and you kind of thrive on your brainpower and when that’s taken away from you, it’s really, really scary. I was going into work meetings and forgetting what people were talking about. I was forgetting conversations. It was quite a scary place to be. I at one point thought, am I getting Alzheimer’s disease in my twenties, because I’m just so forgetful. Robyn: I should mention because she’s not going to say this, what she means by nerdy is really brainy. She’s a first generation immigrant, her parents and she came to the US when I believe she was in the second grade speaking no English. And you can’t tell that she came from Eastern Europe. And almost immediately was like a top student. And so that was like part of your identity to be like probably number one in the class, right? Izabella Wentz: Yeah. I mean I taught myself to read when I was three or four and then I skipped a grade. I was in the 99th percentile on all kinds of standardized tests and I got into like a really, you know, one of the top universities. And that was just a really big part of my identity was my brain. Right? Robyn: Yeah. Me Too. This whole story, everything. Not The PhD in Pharmacology, different path. But, yeah, I relate to so much of it. And so I’ve been really interested to see what happened to your career, what you do next, what you choose after publishing “Hashimoto’s Protocol”. Because in there you’ve outlined a 90 day plan for reversing symptoms. I was like, what’s she gonna do next? Next you focused on food. Is there anything more foundational than changing your diet in your experience in your own personal experience with turning Hashimoto’s around? Izabella Wentz: You know, really there is nothing more foundational than nutrition. And it’s something that people can do on their own. 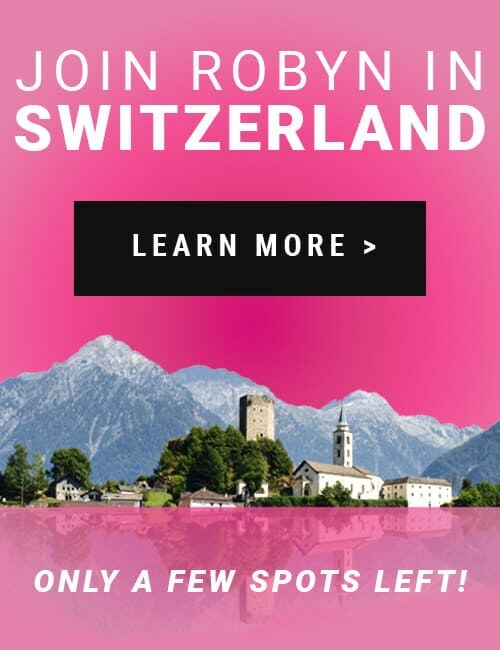 We know, functional medicine, integrative medicine, I know you do these amazing retreats that I hope to go on one day, where people can see the best doctors in the world and have these advanced treatments and that’s such an amazing thing that’s available to us right now. But there are things we need to do on a day to day basis in our own homes, right? So, we need to keep up the nutrition, the lifestyle. And for me it was really, really important to eliminate the foods that were causing inflammation in my body. And what was really incredible was within three days of eliminating two foods, my acid reflux that I had for about three years went away. I was on like multiple Proton pump inhibitors, Pepcid, Tums, you know, just chugging different things, Mylanta, all kinds of crap like throughout the day, just to keep myself at bay. That went away. My bloating went away. My irritable bowel syndrome that I had since my first year of pharmacy school, that went away. And then within a few more months, other symptoms began to lift. So brain fog got better, energy got better. My thyroid antibodies dropped. My carpal tunnel in both arms, that led me to quit a job I love because I had to spend too much time on a computer, that went away. And so this is something that I really want to give to people is an opportunity to kind of be their own nutrition gurus and to take food, use it as medicine, and figure out how to dial things in within their own bodies. How to use food, right? 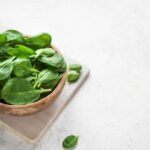 That’s as basic as it gets, how to use food, but also how to use nutrients and how to use digestive enzymes to really nourish their bodies properly. Izabella Wentz: Gluten and dairy were the two foods that were causing a lot of inflammation in my body. Everybody is going to be a little bit different. What I’ve done in my past career, I used to work in outcomes research and so I mentioned I’m very brainy and so I did this with my clients initially, ended up doing it with over 2000 readers. And about 88% of people actually feel better gluten free who have Hashimoto’s and about 80% feel better dairy free. So, you know, I’m not going to say everybody should be on the same exact diet. That’s not my goal. My goal is to give people starting points and templates and teach them how to read their own body’s cues to adjust accordingly what they need to do. But these foods can be replaced within our diets. So for example, with dairy, I think two really easy foods for replacing cow’s milk are going to be using coconut milk or almond milk depending on what type of dietary protocol you follow. And these can be made into smoothies, they could be made into yogurts. These are wonderful things to do. You know, I’m a big fan of your work and a big fan of green smoothies as well. For protein, I used to drink smoothies every morning before I had Hashimoto’s. And I used to use whey protein with Greek yogurt and a bunch of other stuff in there. And I realized that was causing so much inflammation in my body. Smoothies can be wonderful but you’ve got to make them with the right ingredients. So if you are dairy sensitive, you would not want to use whey protein but you could use something like a pea protein that’s hypoallergenic for most people or a hydrolized beef protein as well. Those are some potential options. 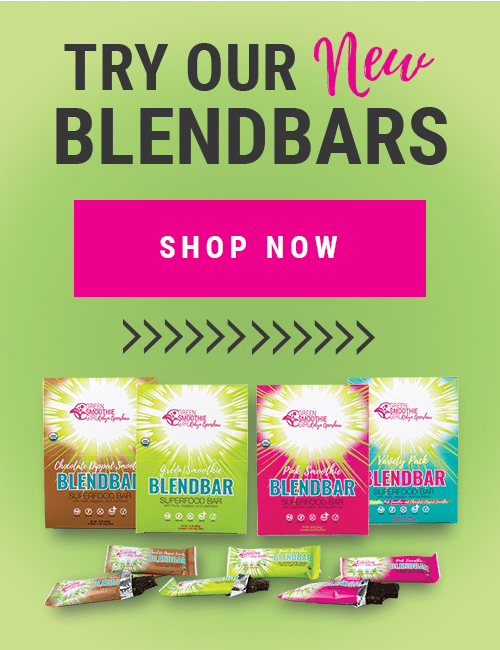 With gluten depending on what kind of dietary protocol you follow. You may use some of the gluten free flour blends that are out there and they’re going to be rice or corn based. Or, if you choose more of like an autoimmune protocol, then you’re going to be looking at something like cassava flour, which actually is really easy to bake with and replaces quite well for baked goods. And I’ve got quite a few recipes in there for pies and muffins and waffles and things like comfort foods that can be made absolutely gluten free and dairy free. One of the things I do in my book, I joke that I don’t have a specific diet dogma that I follow. Like, if I had to choose my diet, it would be like Mojitos for breakfast, lunch and dinner. And you know, maybe like a Margarita for like a nightcap. And that you know, that would be my preference. But I feel like people really need to change the diets to their own bodies. Not necessarily try to stick to one template. I actually have a few dietary templates in there for people to choose with. There’s one that’s focused in gluten free, dairy free. There’s one focused in Paleo, there’s one focus in autoimmune. And different people may start off with one diet and change to something more restrictive or less restrictive depending on where their journey takes them. And then I’ve also got ways to figure out, how to adjust things for yourself. Robyn: Yeah. My journey was to adopt a plant based diet and I don’t never eat an animal product. I just almost never eat an animal product. But like you, I don’t tell people that you have to eat a vegan or vegetarian diet to reverse your autoimmune disease, but you probably do need to eat a lot more vegetables and you probably need to give up all processed food. And probably for most people eat less animal products as animal products can be problematic, a lot of them can. And so that’s, you know, my personal opinion and my personal experience, but like Dr. Wentz I don’t want to take up one of the flags of one of the fad diets out there. So we’ve talked a little bit about your opinion and about your experience of getting off of gluten and dairy, I believe you also feel like soy is a major trigger for inflammation. And you’ve given us some good ideas of what you use to replace them. And she mentioned cassava flour. I haven’t used it yet, but I noticed that it’s trending. I think it’s a root vegetable, mostly grown in Africa. And she can tell me if I’m wrong about that, but it’s c a s s a v a. If you heard her say that and we’re like, wait a minute, what is that, am I right? Cassava? Izabella Wentz: Yeah. It’s a root vegetable and it replaces really well for flour. And of course one of the things we want to do is we don’t want to be like replacing gluten with gluten free junk food. Yeah, I did that. I did that when I first started off and I was like, oh, this is gluten free and this is gluten free. And I was like, pizza bagels. Right? And some things got better, but other things got worse. So you can have blood sugar imbalances that can be a part of the whole symptom conglomerate of Hashimoto’s, where we really need to focus on stabilizing our blood sugar. What I’ve done with the outcomes research is we find that 76% of people feel better on a low glycemic index diets. And, you know, to your point with not following a dietary fad, is we always want to make sure we’re looking at what’s right for our own bodies. You know, one diet that people find beneficial is the Autoimmune Paleo Diet. So we’ve got about 75% of people feel better on that, but we’ve got about 4% of people that are going to feel worse. In terms of thyroid antibodies, which are a marker of how aggressive the condition is, about 40% of people will see a reduction in those. And I know some people will say like, you should never eat the vegan diet when you have Hashimoto’s. And of course you have proven that that’s not the case. And I’ve had clients that have also benefited more from plant based diets. And with my outcomes research of over 2000 people, about 30% of people actually felt better Vegan. And of course another 28% of people felt worse Vegan. But then we also saw about 23% reduce their thyroid antibodies. So this is also something to consider. You know, if you’ve done like a Paleo Diet, and you didn’t benefit from that, maybe try something else. And if you’re on a Vegan diet for health reasons and you didn’t benefit from that, then you can try something else. And I really teach people to try to figure out like, when your diet is not working for you. We really want to be listening to our bodies, not some guru out there that’s like, oh, this diet works so well for me and you should do exactly what I’m doing. Right? Robyn: Yeah. And I like that you’ve polled people because I’m not sure that anyone else has really done that. You know, the AIP or the autoimmune protocol is really trending for a while and may be really useful therapeutically and it may be really helpful for people to identify what they’re reacting to. That’s a whole side topic of some of the foods that get vilified in these fad diets that I don’t think are necessarily useful to everyone. So, thanks for sharing those statistics. Um, what do you like to eat? What has been useful to people you’ve worked with, with Hashimoto’s and yourself? What are foods that are really nourishing and beneficial to people with Hashimoto’s? Izabella Wentz: So I’m going to say this and not just because I’m on your show, but green smoothies, right? So, what’s amazing, and you know, going back to my little bit of outcomes research is that a big percentage, specifically 68% of people said that they found green smoothies to be incredibly helpful with Hashimoto’s and more than 80% said the smoothies gave them more energy. 60% said their mood got better and 40% noticed benefits in weight. What do you think of that? Robyn: Well, I like that. People always, when they say, what do you do? I say, well, I have a popular website called greensmoothiegirl.com and they say, oh, so you sell green smoothies? I say, Nope, I’ve never sold a green smoothie in my life, but I like to teach it to people. Not because green smoothies are the only way to go, but because in a fast food world I can get almost anyone to start the green smoothie habit. 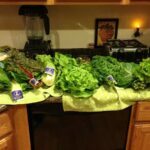 And then they’re getting 10 to 20 servings of Greens, super foods, vegetables and fruits in their diet. That is very hard to get any other way. That’s really the benefit of smoothies is just how well it fits in this very fast paced lifestyle that we live in. So I’m glad to hear that green smoothies did so well. What do you like to put in yours? Izabella Wentz: So I like to put a whole bunch of veggies. So I’ll put like celery in there, greens and then carrots, coconut milk. I’ll put an avocado in there and then I’ll usually do some berries. Berries are excellent source of Myo-Inositol, which has been found to actually be helpful in reducing TSH and normalizing some thyroid function. And then I’ll put a bit of a protein shake, maybe some chia seeds. It’s kind of like every morning I get into the kitchen and I’m like, what does my body want right now? Right. And then, I’ll mix that up and depending some days in the winter I’ll make a thicker smoothie in the summer times I’ll make a thinner smoothie with more water and more cooling, maybe some cucumbers, things like that. And, I’ll have that first thing in the morning and sometimes I’ll have that as a snack. And it keeps me full, keeps my blood sugar balanced, it keeps me calm and collected. One of the things that I’ve found in people with Hashimoto’s is a lot of times they have trouble digesting veggies and fiber, which is so important to have, but their digestion is just shot. And part of that is the autoimmunity and part of that is the thyroid dysfunction. And so when we give protein in a powdered form, when we give coconut milk that’s easy to absorb and these pureed veggies, it makes it easy for the body to one, absorb all the nutrients. 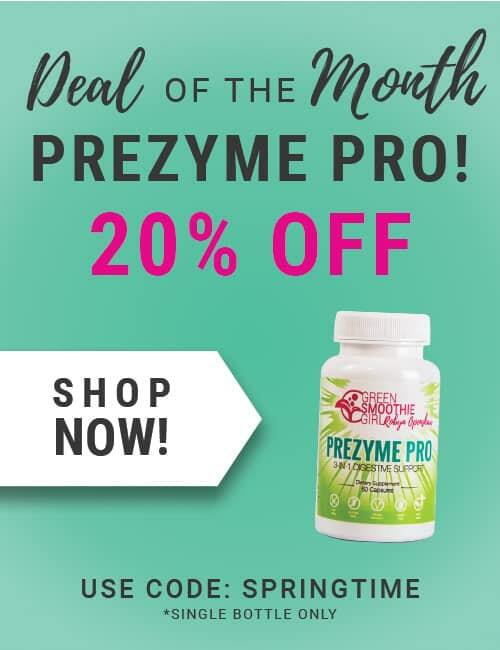 And two, it doesn’t give us all the stress on our digestion because digestion can be a big job for a body, especially one that’s deficient in enzymes. 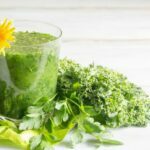 I’ve got a few recipes in there, so it’s kind of my root cause Green Smoothie, that a lot of people love and they use it to balance their blood sugar. I’ve also got some more tropical ones, so I’ve got like a Mojito based smoothie that has been a fan favorite as well. And then we’ve got some orange creamsicle smoothies too. So it’s kind of depending on what you’re feeling that day, what the weather’s like outside and what your body needs. Robyn: So Izabella’s new book is called “Hashimoto’s Food Pharmacology” and it’s really lots of recipes and talking about how food is medicine and useful in stopping the progression of thyroid disease and reversing symptoms and getting well again. So tell us, outside of smoothies, tell us a few of your favorite recipes just to get everybody’s mouthwatering. And remind people just because you want a healthy thyroid and minimize our disease risk long term and feel great, doesn’t mean that we don’t get to eat yummy food. Izabella Wentz: You know, absolutely. And I used to be quite the foodie before I was diagnosed with Hashimoto’s. And the favorite thing for me, and you know, my husband Michael, were to get a bunch of, like, we were in our twenties, so we’d get a bunch of these Groupons and find different restaurants like every night of the week and try various cuisines. So we’ve tried cuisines from around the world. And of course I’m from Poland and he’s from Texas so he’s got a bit of a southern flair to a lot of the things that he likes. And the recipe has really been a mixture of recipes that have become our family favorites. So there’s going to be something that everybody likes in there because there’s a big variety as well. So I’ve got Polish Beet Soup, which is bright red and helps to support methylation. It’s delicious and super easy to make. And we’ve got Moroccan Lamb Stew. This is a fantastic dish that has orange flavoring that is fantastic for winter. We’ve got Polish broth. This is a special type of broth that it has like double duty for healing the gut. This is a recipe that my auntie shared with me. And Creamy White Chicken Stew. This is a fantastic comfort soup that can be eaten throughout the winter. And then we’ve got a lot of other types of desserts. Like I said, I have some plantain based crepes. I’ve got various types of flours you can utilize for desserts. We’ve got Apple Blueberry Crumble, which is a Polish based recipe that we use almond flour for. There’s just a ton of really great recipes in there. It’s like, my mouth is watering, it’s almost lunchtime here. But, what I really hope is that people will be able to find some of these recipes and some of them will become their family favorites. And the other thing is, I know what it’s like to not have all day to cook. In addition to having a baby, I also have a business and a life and all these other things. So 80% of the recipes are going to be really easy to make because we’re going to use shortcuts. We’re going to be batch cooking, we’re going to be doing things like the slow cooker or pressure cooker. And then we’ve got 20% of like fancy recipes when you have your friends over on the weekends. Robyn: Yeah. I love that because I think you know there’s so few people who actually cook anymore that if we could just remind you of a couple of basic truths. One is that most American families make 10 main dishes, there like whole entire lives. And you can replace those 10 main dishes really easily. 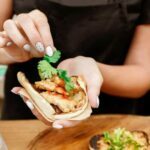 If you can find 10 really healthy whole foods, thyroid nourishing dishes, you’ve dramatically impacted your health and made significant change to your lifestyle that’ll serve you well and it’s really not that hard. We do have to make that recipe the first time, which is a learning curve. But guess what? Second time you make it’s a piece of cake. Third time you make it, you’ll probably have it memorized. I’m really glad that you brought this new book out for all of your fans out there who have been really assisted in getting well after a Hashimoto’s diagnosis, helping them with the food part. And so tell us where our listeners can get the book. Izabella Wentz: Sure. So the book can be found anywhere that books are sold. Amazon.com is a great place. Barnes and Noble. You can find it in bookstores as well. You know my website is thyroidpharmacist.com if you’d like to connect there. Robyn: Well, thank you so much for this great new book. I hope you get some sleep my friend, Dr. Izabella Wentz. Izabella Wentz: Thank you so much Robyn, it has been such a pleasure.